OZ MUSIC LEGENDS: JOHNNY O'KEEFE "Real Wild Child" (LP Cover In Detail). Links to buy RARE VINYL RECORDS, CD's and more! 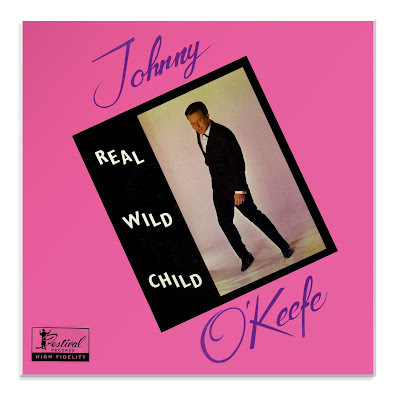 JOHNNY O'KEEFE "Real Wild Child" (LP Cover In Detail). 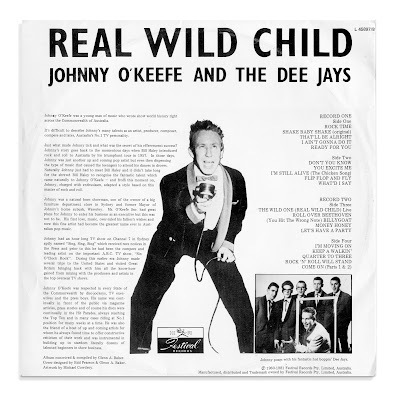 were a huge influence on the rise of a "Real Wild Child"
"Johnny O'Keefe was a young man of music who wrote Show-World" history right across the Commonwealth of Australia" . 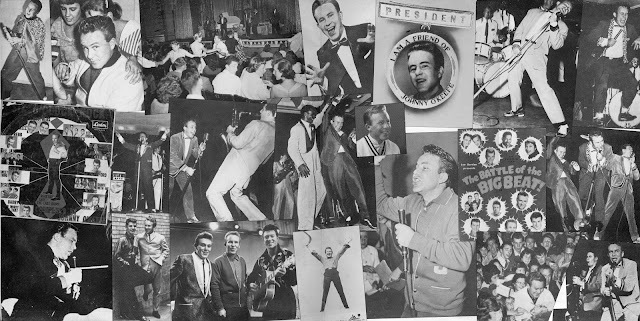 It's difficult to describe Johnny's many talents an artist, producer, composer, compere and later Australia's No.1 TV personality. The covers are presented here in high resolution so that photographs are clear and copy is legible. If you wish to download these images, a link is provided beneath each image. Back cover and inside spread both feature rarely seen photographs interesting stories. Please click to enlarge or download FREE hi resolution images to keep. Some of Robin Gibb's many acheivements. Pat Carroll - The Musical Apple didn't fall far from the tree. Brian Cadd. A Ray of Sunshine. Bev Harrell. Had a successful single written and produced by Maurice Gibb. Rose Carleo. Time Is Now. Glenn Shorrock. A Child of Rock. Listen To Emile Nelson, Breathe. Dusty, Doris and Wendy Stapleton. Janice Slater. Going with Arterial Flow. COL JOYE AND THE JOY BOYS "Rhythm "n" Blues Session" (LP Cover In Detail). Ross Wilson Comes In Peace. The Starfish Bring Christmas to Outback Australia.